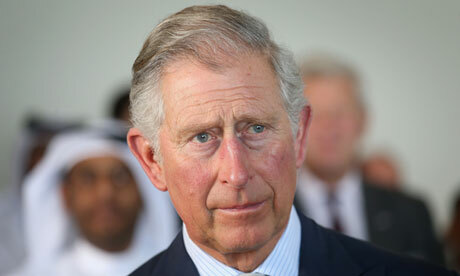 We would like to congratulate HRH Prince Charles on his comments regarding climate change. We are a not for profit campaign group opposed to unconventional fossil fuel methods such as Hydraulic Fracturing and Coal Bed Methane Extraction in Wales. We would like to have HRH as a patron of our group and/or if he could specifically speak out against these unsafe methods. We believe that these methods are a direct threat to our lives and the long-term environment in Wales. You can see our website atwww.frackfreewales.wordpress.com for more information. We would be very grateful if this could be passed on to the Prince himself if at all possible. It’s not a good idea to seek to involve Prince Charles in this political issue, not least because his position should not interfere in what are government decisions. We understand your argument and thank you for your contribution. However we believe that this is an environmental issue rather than a political one and we’re hoping for his input as a farmer. I’m afraid that’s a very naive view. It is seen, by all observers, as a political issue. In my opinion, there is no ‘environmental’ issue that is not ‘political’; indeed party political. Nor is farming exempt from this. Yes well you’re entitled to your opinion Ken thanks for the contribution.